Connecting vMix is as easy as it could ever be, since Restream is fully integrated as a service there. 1. 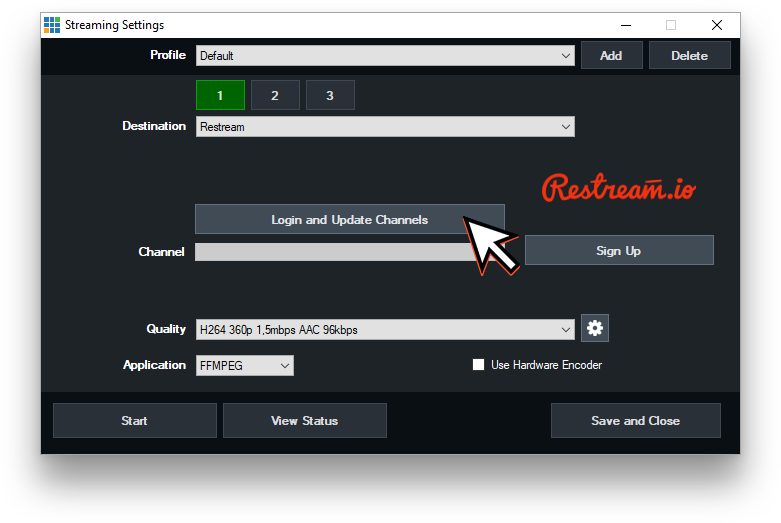 Start your vMix and chose stream settings. 2. 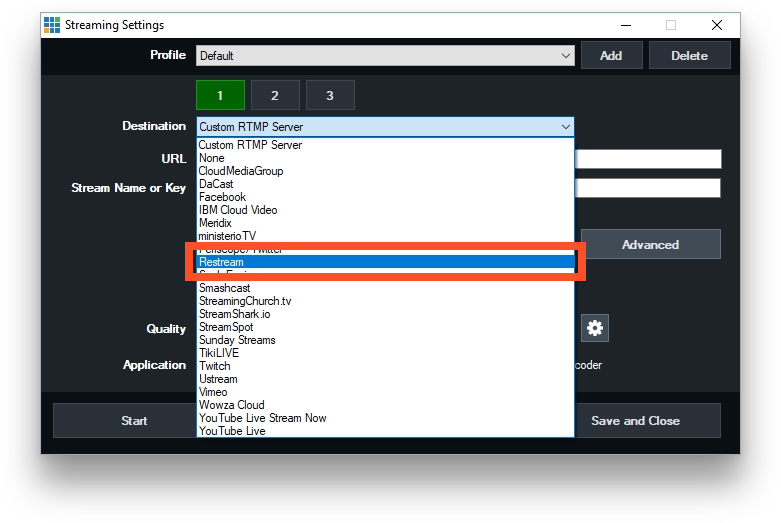 Select 'Restream' from the list of services and authorize your 'Restream' account. 3. You can choose the server from the list and save your settings. 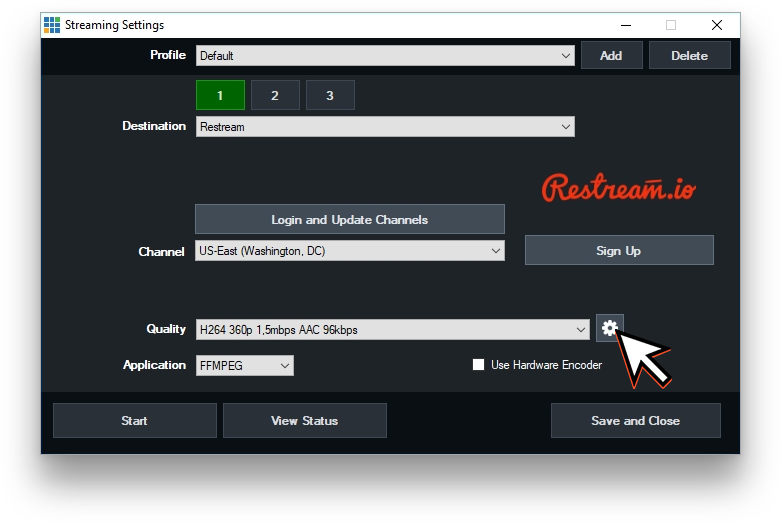 That is just simple as that, as soon as you hit "Stream" in vMix and start broadcasting your stream will be delivered to all of your connected and enabled channels. Tip: For optimal experience make sure to have the best settings - keyframe interval may be crucial for some platforms, so make sure to keep 2 seconds. 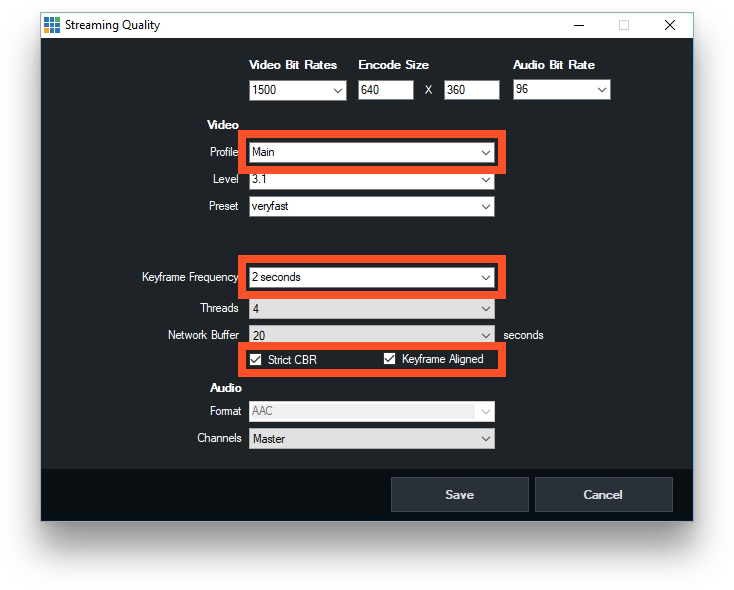 Using 'Strict CBR' and 'Keyframe aligned' options is also required for live streaming. In most cases profile should be set to 'Main'. 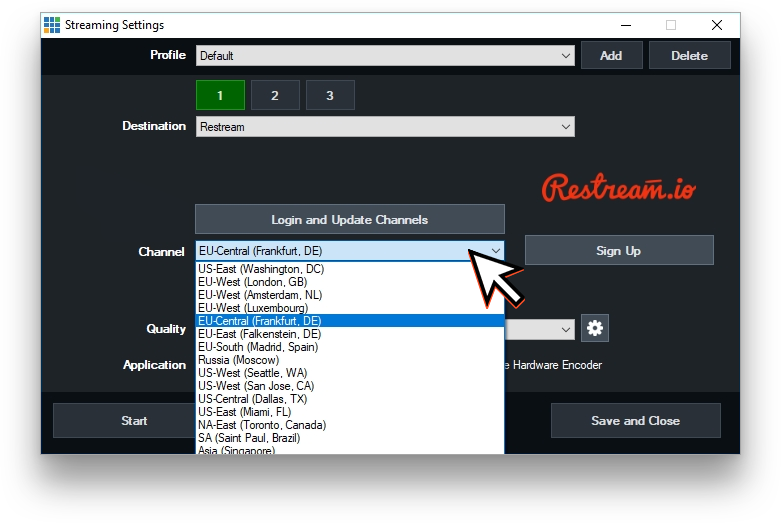 You can also learn how to connect other broadcasters to Restream here.